Editor’s note: This first appeared on VSB on Oct. 21, 2016. It’s the most wonderful time of the year! No, I’m not referring to the fast-approaching holidays; I’m talking about homecoming season! The time has come for us to take those walks down memory lane back to our alma maters and relive our glory days. Homecoming season is a healthy mix of reconnecting with loved ones and debauchery. It’s like a family reunion, only this time the drunken uncle might be someone’s line brother. Homecoming has been a long-standing tradition on college campuses, and the older we get, the more we need to proceed with caution. The excitement of homecoming can lead to impetuousness, and if you don’t plan accordingly you’ll most likely make poor life choices. Ergo, in the spirit of smart decision-making, I’ve constructed this list to make your homecoming not only memorable, but sensible. 1. Avoid the “Hey stranger” swindle. If you have not heard from this person on one of the past 365 days thus far, don’t fall for contact on the 366th. Be mindful that these people are an instrument sent to waste your time. Ignore all random “You coming to homecoming this year?” texts. It is the foundation for a series of unfortunate events. These people will start liking your social media posts and contact you merely to find something to “do” over the weekend. You were not placed on this earth to be an option during homecoming. 2. Don’t be a yard crasher. 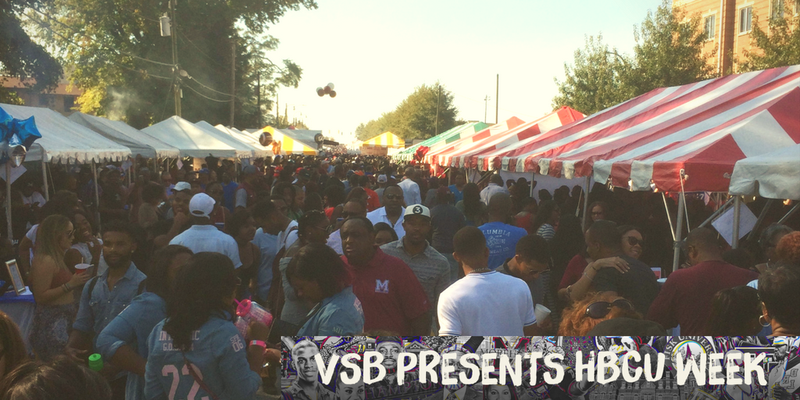 Homecoming is a time celebrated by alumni of a particular institution, but at times, outside visitors join to get a taste of what all the hype is about. If you are in fact one of these visitors, govern yourself accordingly. Do NOT walk on someone’s yard expecting the royal treatment and right hand of fellowship. This time is about them, their friends, their memories and their school pride. You are, unfortunately, an afterthought. If you are a visitor, try making friends and reaching out to mutual associates. Doing this will heighten your experience and open doors you never knew existed. 3. If it’s free, it’s for me. Keep in mind that homecoming is usually the time clubs raise entrance fees to charge an arm, a leg and your firstborn for entry. Don’t fall for the swindle. Expensive doesn’t mean better quality. Before you spend your money, find out what you’re paying for and what you get for your money. Don’t be enticed by the promise of celebrities. Most of these “celebrities” will make a three-second cameo in a remote corner and walk out the door to greener pastures. You can have the same good time at a house party or with a group of friends at other venues. Do your Googling/Yelping and have a proper plan. 4. Stay in your lane. You can’t be everywhere and go to everything. You are no longer the younger you of yesteryear. You are now a whole entire adult, and things tend to not bounce back like they did in prior years. Do not try to show the younger crowd that you still got it. You’ll regret this. You have nothing to prove. You are not in undergrad anymore. You will hurt for the next six months. Remember the days of going out until 5 a.m. and going to an early morning class? Well, those days are over, friend. 5. Like black lives, paid time off matters. After surviving a weekend of homecoming, the last thing you’ll want to do is go back to your regularly scheduled program. Homecoming is a weekend-long festivity, and a lot of people have not engaged in activities of these magnitudes in millennia. Do not set yourself up for failure thinking you can make it to work on Monday. Make sure you hydrate appropriately; water and Pedialyte are your friends. If possible, call in sick and take the necessary time to recuperate. If this is NOT possible, go in and suffer through. A weekend of fun is not worth your employment. Homecoming is a time to celebrate the bonds of friendship and create fresh memories with people old and new. Adhering to these tips will ensure that you do so responsibly and heighten your experience. The most important thing is to make smart life choices and make sure you enjoy yourself.